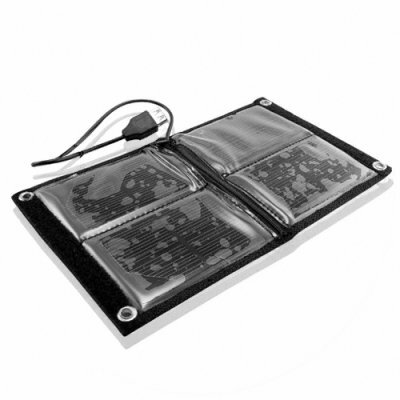 Successfully Added Solar Panel Charger - Portable Green Power Supply to your Shopping Cart. Solar Panel Charger for recharging portable electronics using a USB cable power connection. This thoughtfully designed folding solar panel charger is ideal for the wilderness adventurer or anyone planning an extended backpacking trip. The pocket sized solar panel can recharge any electronic product capable of recharging from a USB connection. The professor on Gilligan's Island could not have invented a more useful item! The CVSBZ-4900 is only available from your source for wholesale direct from China electronic products, Chinavasion..
- Power: 5 Watts Max.